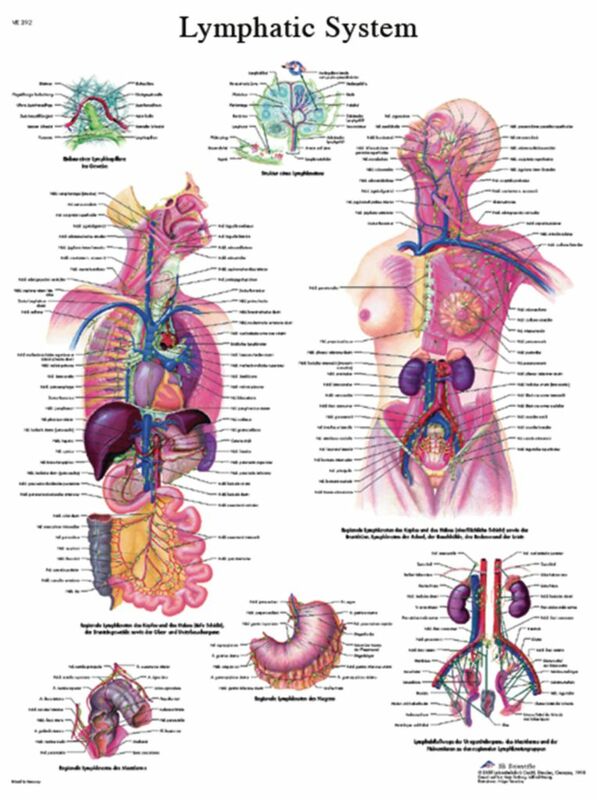 This colorful anatomical chart details the human lymphatic system. The lymphatic system is shown in the context of the rest of the organs and every important part is labeled for easy study. The detailed anatomy of an individual lymph node is also illustrated on the poster.